Unless you have been keeping a detailed flowchart that outlines dates, percentages and affected countries, it has been exceptionally difficult to keep up with the new U.S. tariffs on imported steel and aluminum. Observers of nearly any industry that uses steel or aluminum were well aware in early 2018 that talk of new import tariffs was underway. With some exceptions, tariffs ranging from 10 to 25 percent were levied on various types of base and certain processed steel and aluminum products, took effect for most countries on March 23, 2018, with some exceptions. In the March proclamations, Mexico and Canada were granted exemptions that expired on May 31, 2018. As of today, according to the U.S. Customs and Border Protection Service, the tariffs on steel cover “all countries of origin except Argentina, Australia, Brazil and South Korea,” with Argentina, Brazil and South Korea subject to “absolute quotas,” meaning that their imports are capped at a certain level and not subject to the additional tariffs. Tariffs on aluminum cover “all countries of origin except Argentina and Australia,” with Argentina subject to the absolute quota. In the weeks leading up to the tariffs’ imposition, many construction industry observers predicted significant cost increases for critical inputs. Everything from rebar to steel beam, steel pipe and tube, and aluminum mill products, were predicted to go up in price, potentially causing an industry slowdown. Further speculation was that the cost of new and used construction equipment would rise, pushing purchase and rental prices for contractors higher. Indeed, most predictions turned out right. Without getting into the finer points of domestic production versus imports and production capacity versus output, we can consider the facts. The Associated General Contractors Association (AGC) tracks and compiles a monthly listing of the Bureau of Labor Statistics Producer Price indices, covering various industry sectors and materials. According to its reports, from November 2017 to November 2018, fabricated structural metal costs grew 12 percent. Metal bar joists and rebar rose 12.6 percent. Structural metal for nonindustrial buildings climbed 13.1 percent. Fabricated structural metal for bridges increased 5.5 percent. Aluminum mill shapes climbed 5.9 percent. It is no surprise then that iron and steel scrap prices rose 19.8 percent year-over-year. Excluding capital investment, labor and imports, total input costs for overall construction increased 4.9 percent in the November 2017 to November 2018 period. No construction industry sector was excluded from input cost increases. Nonresidential construction costs rose 4.9 percent. Industrial structures climbed 4.2 percent. Residential construction costs increased 4.8 percent, and highway and street construction input costs grew the most at 6.2 percent. Important to note are cost increases in other important components, including significant escalation in diesel fuel (+19.5 percent) and asphalt (+57.6 percent), perhaps explaining why highway and streets construction input costs outpaced other sectors. The Producer Price Index (PPI) for U.S.-made construction machinery and equipment rose only 0.3 percent through November. This is minuscule given the steel and aluminum cost increases. There are other factors to take into account when considering the relatively low PPI increase, such as how and when price increases are passed to the manufacturer’s dealer network. If a manufacturer agreed to fixed prices prior to the higher tariffs, it might have been forced to absorb any increases in steel- or aluminum-related costs. On the other side, long-term supply contracts with steel producers may have delayed cost increases to large-scale purchasers. Finally, elimination of discounting, rebates, marketing funds, free financing and other incentives may give certain manufacturers the ability to retain more profit without raising the reported machinery cost to their dealers or end users. 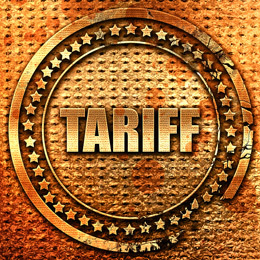 What’s the Industry View of Tariff Impact? Particularly for those of us interested in financing and leasing capital assets to the construction industry, the real question is: What impact did all of this have and what will be the lasting effect? We have the opportunity to speak to both end users and dealers, and we have asked them these questions. While each conversation is unique, there is some general agreement. One thing we hear: The construction industry is volatile. Long-term, successful companies have weathered movement in material prices over the years. In 2018, contractors noticed materials price increases. How they handled higher costs depended on the nature and variety of their work. Like any industry, there are those who came out ahead and those who felt a pinch. Contractors who rose above had already locked in the material prices for their jobs or, less common, had built in escalators into their bids for materials other than fuel, asphalt and concrete. In short, they were not subject to fixed-price contracts with rising variable input costs. Those who did not have such arrangements saw various degrees of margin erosion. One thing both camps agree on is that current bids are more expensive. The ultimate cost is now being passed on to the owner of the jobs — be it a developer, a municipality or other entity. Dealers and contractors also noticed varying degrees of price increases on new construction equipment, but not significantly so on either end. While there is no one industry index that measures used equipment values, general consensus among those we talk to is that used construction equipment prices were stable as well. There are exceptions of course, but many are saying they experienced 1 percent to 4 percent increases for whole machines, but they are not able to say specifically that it was tied to tariffs. Some speculate it was a combination of tariffs and a general opportunity to raise prices in a good economy. One area almost everyone has agreed on is that attachments and wear parts prices have increased. How much depends on the part itself. A point that stands out from conversations is that, based on the robustness of overall construction activity, this strength might have masked potential tariff impacts. In a weaker sector or economy, the effect might have been more immediate and dramatic. It is too soon determine the final impact on the industry. However, there is no doubt that steel and aluminum are key construction industry components. Their cost rose over the past year, partly due to tariffs and perhaps to demand based on the strong overall construction industry. Increased material prices translate into higher project costs for owners. As costs rise over time, projects’ affordability decreases. The higher expense acts as a natural activity regulator and could potentially slow the pace of growth. John Crum has worked in the construction equipment finance and leasing industry for the past 27 years holding a variety of positions in sales and credit management. He joined Wells Fargo Equipment Finance in May 2006 and currently serves as National Sales Manager of its’ Construction Group. His team covers end users, dealers and manufacturers of construction equipment. Prior to joining Wells Fargo Equipment Finance, Inc., Crum was Senior Vice President and National Sales Manager for the Equipment Finance Group of ORIX Financial Services with a specialty responsibility for the Construction/Transportation Division. He began his career with Associates Commercial Corporation and held various positions over a 10-year span including credit manager, district sales manager and branch manager. Crum is the executive sponsor of Wells Fargo’s annual Construction Industry Forecast, a widely cited publication which provides an annual industry outlook. He has authored numerous articles on the construction industry covering topics ranging from industry interest rate risks to rental market dynamics. Crum has served on the board of directors for the Associated Equipment Distributors Foundation since 2010. Crum and his wife, Stephanie, have three children and reside in Gibsonia, PA.